Fish consumption is a healthy component of a balanced diet, but it can be difficult to know which types and how much fish is safe to eat. 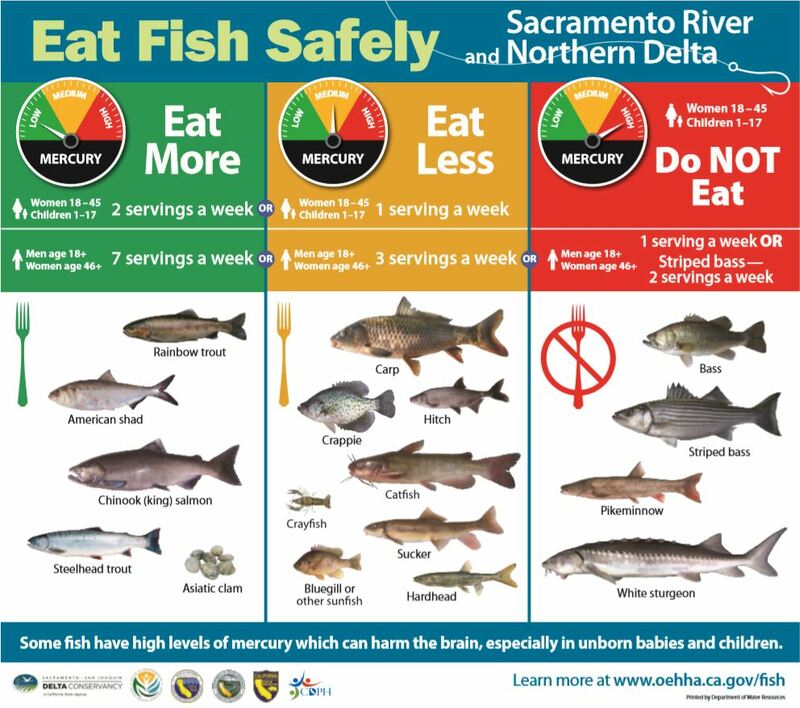 The Office of Environmental Health Hazard Assessment issues Fish Advisories telling us which fish are safe to eat from the Delta as part of the Mercury Exposure Reduction Program (MERP). By following the guidelines below, families can enjoy eating fish safely and making it part of a healthy diet. For more information about child abuse and neglect, view this tipsheet. Learn how to make eating fish part of a healthy diet. No amount of marijuana is safe during pregnancy and breastfeeding. Go to the county website to donate to First 5 Yolo. to Yolo County parents and their children ages 0-5.